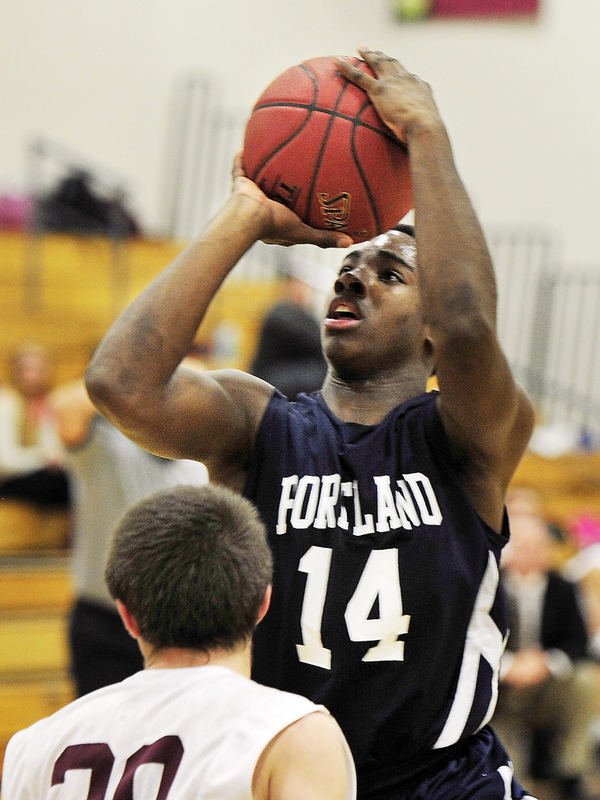 The Bulldogs pull away from Gorham, 60-40. GORHAM — Unbeaten Portland High wore down Gorham with its full-court press Tuesday night and got balanced scoring to win its fourth game with a 60-40 victory at Dean Evans Gymnasium. The Bulldogs led 32-23 at halftime, then scored the first eight points of the second half. Reserve Travis Godbout and Jayvon Pitts-Young each scored five points in the third quarter, when Godbout made his lone 3-pointer of the game. Center Matt Talbot paced the Bulldogs with 16 points and Justin Zukowski had 15. The 6-foot-5 Talbot controlled the middle at times, and had two dunks and a couple of blocks. 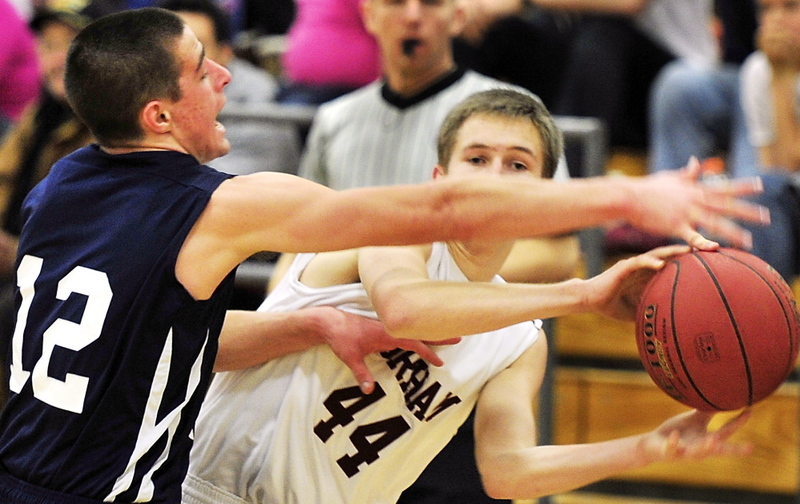 He received a good battle from Sam Kilborn, Gorham’s talented 6-foot-5 sophomore center. Kilborn finished with a game-high 18 points. Gorham, under former longtime Westbrook coach Mark Karter, stayed with Portland for the first half. The Rams, who were finding the open man for scores, took a 7-2 lead when Nick Thibeault made a three-point play. The Bulldogs then went on a 10-2 run to go ahead 12-9, a lead they never relinquished. Steve Alex scored, Talbot had a dunk, and Zukowski and Alex hit back-to-back 3-pointers in the run. Kilborn scored inside, but Zukowski had the next five points to make it 17-11 before Kilborn scored again. Pitts-Young ended the quarter with a basket to make it 19-13. Gorham (2-1) scored four straight points early in the second to cut Portland’s lead to 21-19, but the Bulldogs went on another spurt, this one seven straight points to open a 28-19 lead. Portland was moving the ball around and also finding the open man. Zukowski had 13 points in the first half. Talbot had eight of his points in the fourth quarter. Portland spurted again at the start of the fourth quarter. Talbot, who showed he has good shooting range last season, hit a pair of 3-pointers in the fourth as part of his eight points. “I thought Travis Godbout and Dan Kane had strong games coming off the bench,” said Russo. Russo also liked the work of sophomore Joe Esposito, who also came off the bench and spelled Zukowski at point guard. The Bulldogs have several football players who are the backbone of the team. 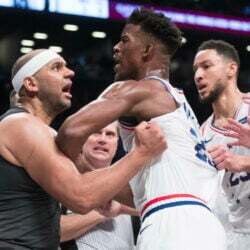 Four games into the season, they’re still rounding into basketball shape. Russo can be patient because he knows the athletes he has. 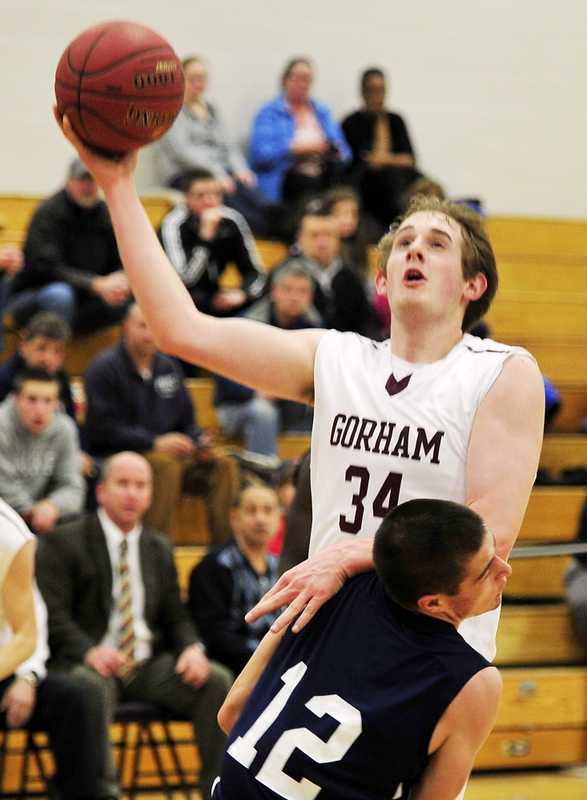 Thibeault was strong inside for Gorham and finished with 11 points.